I’ve been pretty obsessed with the color green lately. I guess that quite makes sense, given the need for environmental awareness. Well, I do not intend to preach about Global Warming or anything close. 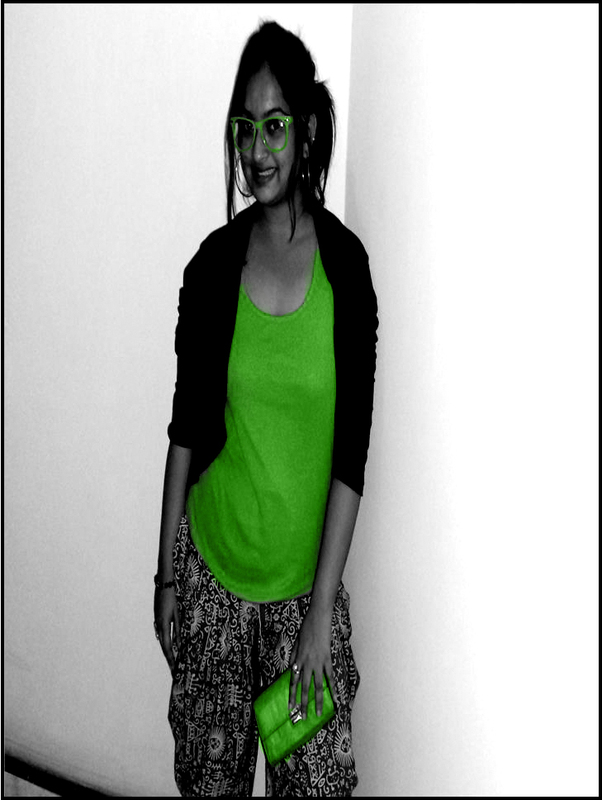 The color green has a very important role on the fashion front as well. 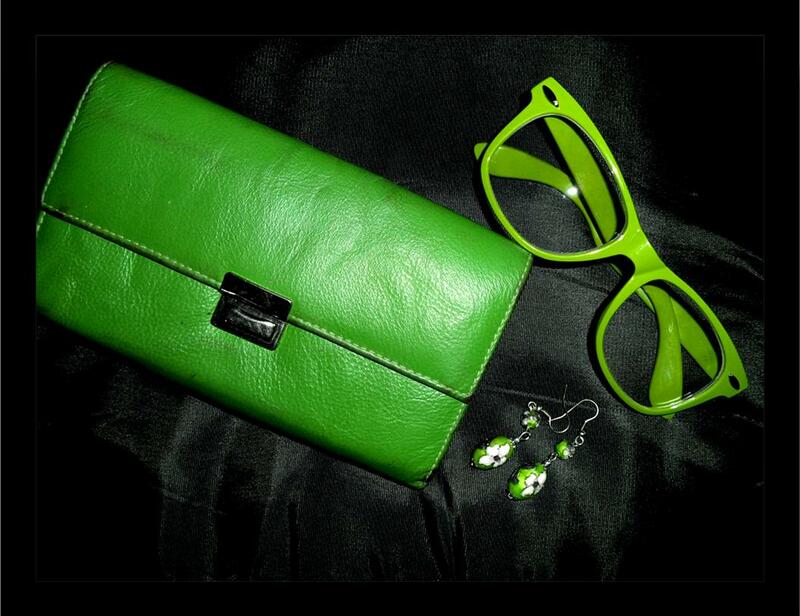 A splash of green undoubtedly works wonders to jazz up an otherwise boring outfit with a pop! Green when teamed with a monochrome outfit, preferably black, stands out bold. For a softer effect, wear it with white. Green works best in splashes. If you are going for more than one green item at once, make sure they are of the same shade. I have always loved eye-gears, especially these geeky ones. After a couple of futile visits to the optician (who claimed every time that my eyesight is more than perfect) i finally bought these specs without any power. Specs as an accessory do make quite a statement, and yes I bought them in GREEN! P.S. : The pair of green earrings in the picture above is a gift from Daddy (from Beijing). I found them so beautiful that I could not resist including them in my “collection of green”. For the final touch, keep that gorgeous smile on and stay stylish. Do not forget to leave your comments!